Beautiful, executive home for lease in Wildwood. 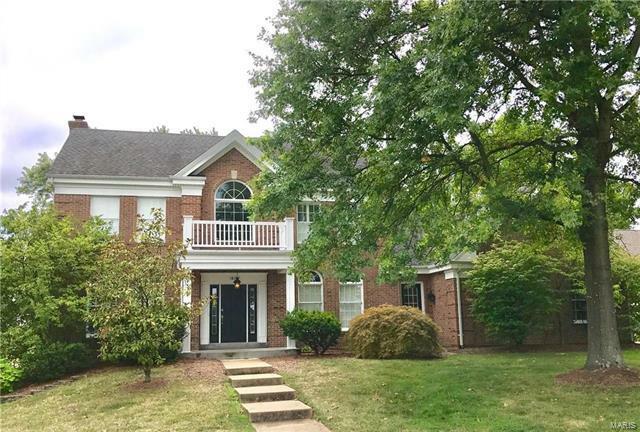 Pristine two story with stately curb appeal welcomes you in with marble tile in the soaring entry, flanked by formal dining and formal living rooms with arched windows. Open floor plan with tall ceilings flows into the family room with fireplace, built ins and gleaming wood floors. Enjoy the spacious, updated kitchen with ample cabinet space, granite counters, skylights and SS appliances. Breakfast room overlooks the semi-private, flat backyard. The sunroom is a fantastic bonus living space with easy access to the wet bar. Dual staircase leads you up to find a master bedroom suite with vaulted ceiling, plantation shutters and ensuite bathroom with dual sinks, soaking tub, large shower and walk in closet. Two more bedrooms, one with a sitting area, and a full bath round out the second level. The lower level has an exercise room, bonus living room, full bath, cedar closet and additional sleeping area. MF laundry. No pets/no smoking. Hwy 109 north of Clayton Rd, right on Bent Ridge to right on Woods Bend. Home is straight ahead at the T of Edgewood Circle.